According to reports, the Mukesh Ambani-led company has joined hands with Chinese smartphone maker Oppo to launch additional data offer for Jio users. Reliance Jio users have all the reasons to feel on top of the world as the LTE mobile network has come up with a pair of all-new exciting offers yet again. It seems that the company is gearing up to disrupt all other telecom service providers in the market. 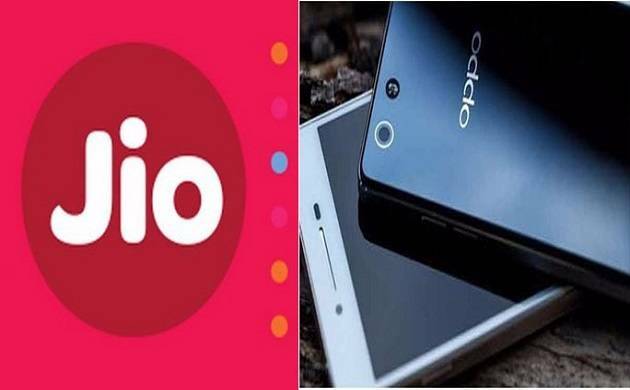 According to reports, the Mukesh Ambani-led company has joined hands with Chinese smartphone maker Oppo to launch additional data offer for Jio users. Oppo 4G smartphone users may avail additional data up to 100GB on multiple Jio recharges of Rs 309 and above. The offer is valid between October 27th, 2017 and March 31st, 2018. While users of Oppo's F3, F3 Plus and F1 Plus smartphones will get 10GB additional 4G data on every recharge of Rs 309 or above, F1s, A33F, A37F, A37Fw, A57 and A71 smartphone buyers may also avail 10GB additional 4G data on every recharge of Rs 309 or above. The offer is limited to a maximum of 10 recharges. The first and the second offers are limited to a maximum of 10 and 6 recharges respectively. Tech savvies who are waiting eagerly to avail the offer may go through the following steps. The LTE mobile network is currently offering a slew of mouth-watering offers for which customers need to check on Jio's website or on MyJio app. The company is starting its prepaid plans from Rs 19 and the postpaid plans start from Rs 309.